Image: Luna is a rather tall girl with a lithe body build. Her skin is not as white as on most other vampires, making her look as if she was just slightly tanned. No experts her parents have called in have been able to explain how this could be. However this color of her skin is in favor of her almond-shaped eyes, giving the light-gray color to them even more exotic looks. Luna's raven black, straight hair reaches down to her waist, a few locks of it falling around her beautiful face and framing it perfectly. She usually has her hair in a simple style. Personality: Being a very intelligent girl, she could get full scores in anything she wanted, that is if she had any interest in what was being taught to her. During classes she would rather stare out the window and day dream or draw pictures in her text books. However she never fails to turn in for tests and always gets grades that leave her parents off of her back and never makes them suspicious about their daughter's behavior. Luna doesn’t make it a habit of hers to stick her nose into other people’s business, being the loner she is and having had a rather strict upbringing. She likes having some time for her own to either read a book or then people will find her wherever there is a garden or grass for that matter. Loud, obnoxious people go extremely on her nerves, but as a pure blood she was raised to not let her emotions rule over her actions. But well, Luna may not kill whomever there is making noises or trying to go on her nerves, but she has mastered the ability to make witty or sarcastic comments without actually being rude or she simply glares at the person until he/she can't take it anymore and either leaves or stops. As this example has shown then stubbornness is a big trait Luna has, along with patience. This patience however only goes for animals or plants. Luna does have a very rich humor, but isn’t fond of letting people see her laugh for some odd reason, then either biting her lips together or leaving the room while calming down. For most of these reasons she has never really had any close friends, mostly just lower ranks that have sucked up to her just because of her position, making Luna completely lose faith in ever finding someone she would be able to call a friend. Being the calm personality she is, Luna prefers not to fight unless having a good reason and wishes for people to leave her out of their quarrels. She's not good at reading what others are thinking and often fails to "read the atmosphere", making people draw the assumptions that she is either daft or just arrogant, when she really is trying to understand them. She has the habit of thinking more than talking, often taking some time to answer people. Luna would normally not be considered a cruel person, simply disinterested. But this disinterest is also what makes her dangerous, seeing that although she would rather not fight then on the other hand she would also not care if she killed someone that was in her way. Uniquenes: Luna has a mysterious gift of being able to grow plants or flowers about anywhere and has a great knowledge about them. The Scarlet family had always moved a lot when Luna was little, never really taking roots anywhere. They were however originally from Russia and decided to move back there. For over 100 years they lived in Moscow, their identity as vampires carefully kept a secret from everybody. Luna felt quite content there and was glad when she discovered that even in the difficult weathers there, she could still make plants from every origin grow when planting their seeds. It made her parents a little worried how little interest the girl showed anyone. It was almost impossible to get her out of the gardens and actually let her meet other pure blood vampires around her age. "What is it that makes her this drawn to those plants all day?" her father spat out as he watched his lovely, but closed daughter as she was planting another seed with a happy smile on her face. "Perhaps this is something about her powers, dear." The beautiful female vampire that came up behind the male one put her hand lightly on his back and joined him in the almost daily pondering about their difficult daughter. The child was the spitting image of her mother. Although she was rather tall now for her age it was very clear she would have the lithe and feminine shape, along with the beautiful featuers as her mother had. She had though the same grey-ish eye color as her father, only adding to the child's beauty. Everyone that came for a visit said it was no question that she was a pureblood just by looking once at her. Her searching, questioning and wise eyes seemed to look deep into anyone, making few be able to hold her stare. All of the sudden Luna stood and ran inside the mansion, appearing before her parents with mud in her blue dress and on her face and hands. "Mother, why is it that the moon can't help the flowers to grow as much as the sun can?" Her mother had to suppress a sigh and leaned down to her daughter that always seemed to have questions about everything. "That is just how things are Luna. The moon helps us grow strong just as the sun helps the flowers to grow strong." The girl frowned slightly but then nodded and thanked her mother before running out again, leaving her parents with their worries. "If it is so, then I will learn how to sing for you and help you get stronger just as the sun helps you!" her childish voice held great determination as she sat down in front of the new row of seeds she had just planted down. Looking up at the full moon, she called out in strong voice. "You hear that moon? We will work together to make them grow and turn beautiful!" "What are you doing?" the voice of another girl made Luna look behind her and saw there a girl her mother had introduced her to about a week ago. Her name was Alexandra and to be honest then Luna didn't like her. Alexandra was a rather short girl that had slitted brown eyes and her luxurious, curly, jet black hair was neck-length and worn in a bizarre, carefully-crafted style. Those brown eyes always seemed cold to Luna, but as they were now observing her she was sure there was laughter and contempt in them. "I'm not doing anything.." muttered Luna and averted her eyes from the other girl. "Oh but I thought I heard you talking to the moon.. isn't that kinda weird?" Luna bit her lips together and just stared at the ground in front of her. "Hey, don't just ignore me! Even though you are a pure blood like me then it doesn't mean you are any better!" the shorter girl stomped her foot down in anger and her brown eyes shot blazes towards the taller girl that just kept looking down with a stubborn look on her face. "Never mind, you are just stupid like everybody say you are! All you think about are these stupid plants of yours!" And as if to give her words a deeper meaning, Alexandra bent down and grabbed a handful of flowers and ripped them out of the ground before throwing them at Luna. Inside the house Luna's parents had settled down in the living room as they heard a piercing scream come from the garden. Rushing out to the garden, fear about Luna almost making them mad, they halted and looked wide eyed at the scenery before them. There stood their quiet and shy Luna with a fierce look on her face and on the ground at her feet lay the unconscious and bloody Alexandra. "What happened here?!" Luna's father screamed as he ran to see if Alexandra was still alive. Everywhere on her body were marks like something thin had wrapped itself around her and tried to crush her. Luna went down to her knees and started planting again the flowers Alexandra had ripped up, the usual calm expression now on her face. "She tried to hurt my flowers so we just hurt her instead." Her parents stood frozen and stared at her before finally gathering their senses and quickly getting help for Alexandra. The other girl lived but didn't seem to be able to remember just what had happened, but she went mad from fear when her mother took her again for a visit to the Scarlet family. After this incident no child wanted to visit Luna and she was not bothered again while in the garden. Surely her parents were glad to know that it seemed like her powers were appearing, but then again they weren't really sure if she would even use it against them if they weren't careful around her. Although she would not be able to really hurt them, then it would be frowned upon from the higher vampires if a pure blood child attacked her parents. The years went on and Luna grew up to be the beauty everyone had expected, but she also grew more serious and calm with the years. Most said it would just help her in gaining the trust and loyalty from others but there was still this question about her disinterest that kept bothering her parents. They continued to live peacefully in Moscow until the year 1812, when Napoleon invaded the country. Moscow got burnt to the ground and everybody evacuated. This stirred up quite some problems as in all the confusion there seemed to have slipped by the word of a vampire family that had lived a luxurious life amongst everybody. From that came accusations, fear and anger along with vampire hunters, which lead finally to the decision of the Scarlet family to move once again. After moving around for about two decades, the Scarlet family finally settled on Japan. Luna was enrolled in Cross-Academy almost immediately, although she wished for being home-schooled as she had been for the past decade due to the constant traveling, saying she wasn't interested in associating with others. Her parents gave that an absolute no and told their stubborn daughter that she had to start opening herself up and at least try to get to know other vampires. It was very important for someone of a high standard as herself to be familiar with how others behaved in society. What they mostly wished for though, but wouldn't tell Luna, was that she would bring home with her a pure blood fiancé. There had passed about a month since Luna had been enrolled in the Cross-Academy but she was not very fond of going to classes. She had however taken a great liking to the big garden that was behind the school, often passing time there and making every kind of flower and plant grow under her low singing. However the teachers had spoken to her parents about this, and now she -had- to start going to classes. She was not pleased about it, especially since the other students seemed very interested and curious about her after she had not been showing up to classes and seemed like a delinquent. Rp sample: The classroom seemed dull as usually to Luna, making her sigh deeply to herself and wonder why she had even come here in the first place. She never stayed behind with the others during breaks or even speak to anyone as she came to class, only wanting to get out of there as soon as possible. "Hey, your name is Luna right?" a girl with slanted, purple eyes that were like two amethysts came to Luna's desk and posed a smile that was supposed to be friendly... at least Luna thought she was trying for that although it looked more like a crooked grin to her. "Yes? You need something?" Luna's low voice did not hold any irritated tone, but her light-gray eyes held it instead as she eyed the shorter girl with disinterest. "Uh.. not really...was just..checking" the girl took a step back, clearly noting that her presence was not needed. She was just checking? What kind of a reason is that? Sighing again, Luna stood up and grabbed the single textbook that lay on her table before walking past the girl. "Well now you have it confirmed." And with that, she stepped out of the classroom. The App looks good, but I'm not sure you can be a Level A vampire. 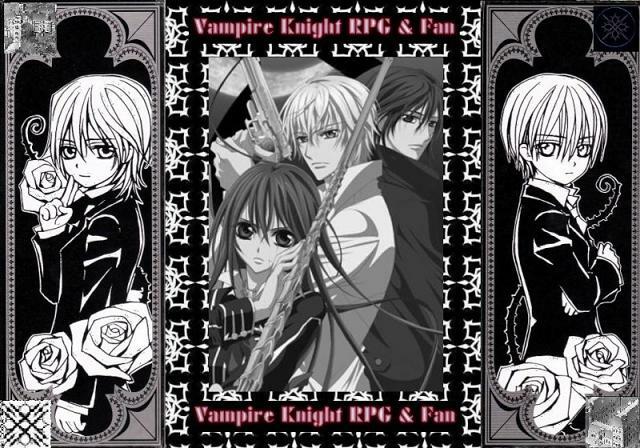 Yukio Shidousha wrote: The App looks good, but I'm not sure you can be a Level A vampire. So my application is approved of ?